The May 7th 2018 and future club meetings will be held at the Parkview Baptist Church. For the past year we have been guests of the Seventh Day Adventist Church. They have been very kind to us, and their facility was quite nice. 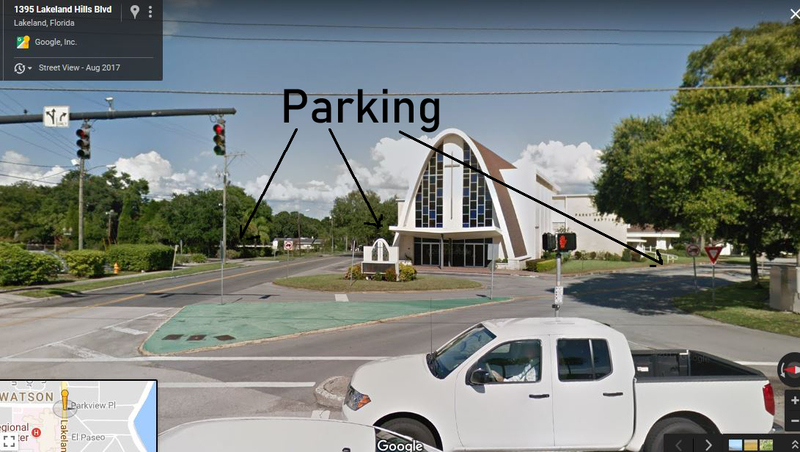 However, the opportunity to move to a slightly larger facility presented itself, and the board decided to accept the generous offer of the Parkview Baptist Church to use their facilities for our club and board meetings. So what will change? Not much. The location is about a thousand feet from the last meeting place. Parking is more than adequate for our needs. The following aerial view shows the parking areas tinted in yellow green. Several places by the side entrance are handicap parking locations. 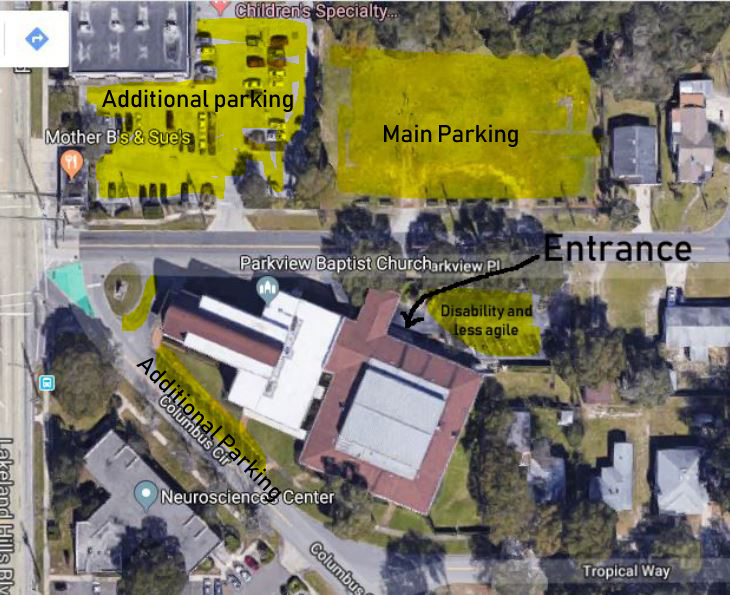 If you can walk, or even if you just need the exercise, please use the Main parking lot across the street, and leave the few spots by the door for those less fortunate. For those not familiar with the front of the church, the following image should refresh your memory. If there are any questions, please contact one of the officers, Matthew, Bob, Patrick, or Bill.